Folate Folic Acid in food ELISA kit | CE-GMP | 818-591 3030-USA. Folate-Folic acid in food Elisa test kit provides an Enzyme Immunoassay for the quantitative determination of Folic Acid in food. Folates play an important role in the synthesis of nucleic acids and some amino acids and gained recently increased interest because they belong to the group of antioxidative vitamins. In the last years the influence of folic acid supplementation to avoid abortion and dysraphism was a topic of research increasingly. Folic acid as the most stable representative of the group of folates is added to a broad range of food. Traditional methods are mostly microbiological ones, but also TLC and HPLC are applied. These methods are time consuming and need complex equipment. 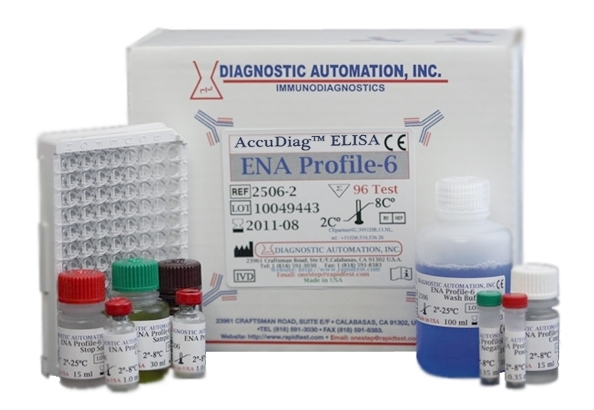 This ELISA test kit allows the detection :2.5 to 4 hrs, incl. sample preparation- of folic acid in supplemented food which is more rapid compared to traditional techniques :24-48 hrs. 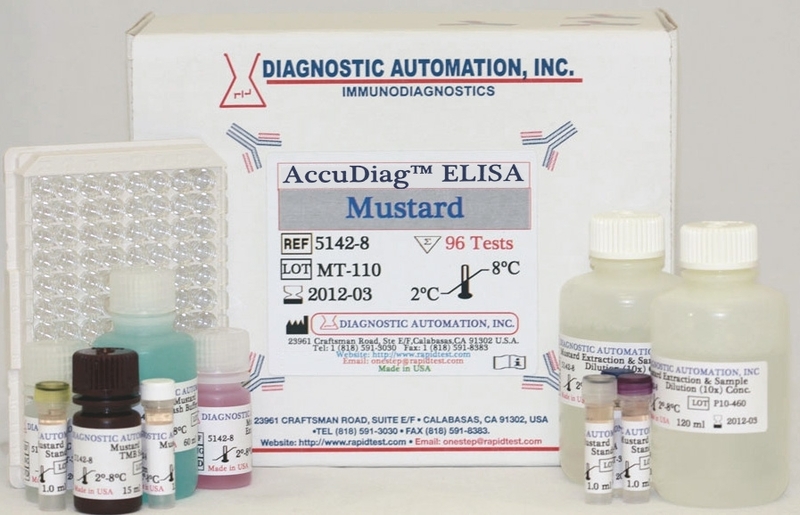 Diagnostic Automation Folic Acid ELISA test determines the concentration of folic acid in food, including Multivitamin Tablets and Capsules, Multivitamin Juices, Multivitamin Jam, Grain Products (Corn Flakes and Muesli), Multivitamin Sweets, Milk, and Dry Milk Instant Formula. The sensitivity of DAI Folic Acid ELISA is 2 ng/mL. The recovery of spiked samples was determined to 90-110 percent. The intra-assay variation of the folic acid test was determined to 3 percent. Cross-reactivity relative to folic acid is 100 percent.